Mobileye, dubbed the “third eye on the road” provides drivers with life-saving alerts as it continually scans the road ahead for potential dangers and can detect vehicles, lanes, pedestrians and cyclists. Earlier this year, we ran a Facebook competition looking for the most distracted driver in Australia. The winner of the competition, Carly Rogan, was given a free Mobileye unit and she has now been driving with the Mobileye in her car for over two months. We were keen to know what she thought of the driver awareness unit since she started driving with it. Check out Carly’s review on the Mobileye below. My initial drive after the installation of the Mobileye I found it slightly distracting with the beeping and the lights being visible out of the corner of my eye. It didn’t take long for it to become a familiar part of the car, though. After a few simple adjustments to the alert times I now find that my brain has been automatically trained to travel at least one second behind the car in front to avoid the Mobileye alerts. The white line indicator has been useful especially having two small children that I constantly am distracted by I never actually realised how often the car was veering. Needless to say, mum no longer turns around she pulls over! Ultimately, I feel the Mobileye has made me a more aware driver, aware of my surroundings, safe distances between vehicles, aware of how distracted I can become and is a constant reminder should I forget! 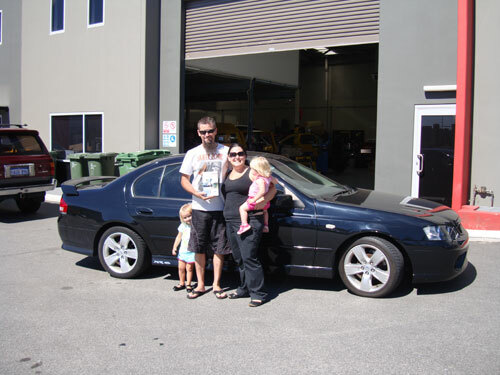 Nathan from Andatech with Facebook competition winner, Carly Rogan and her gorgeous children, Lily and Charlie. 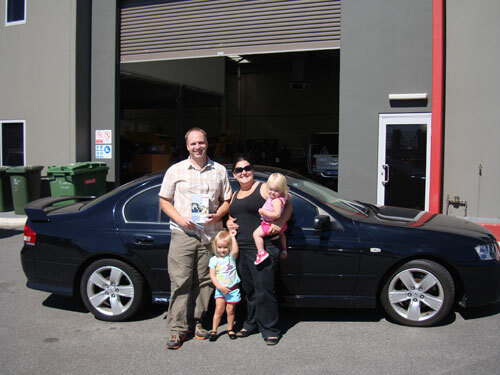 Carly with husband Paul and children Lily and Charlie (held) with their newly Mobileye-equipped car! Congratulations to Carly for winning the competition, and we are glad that the Mobileye is helping you become a better, more aware driver. 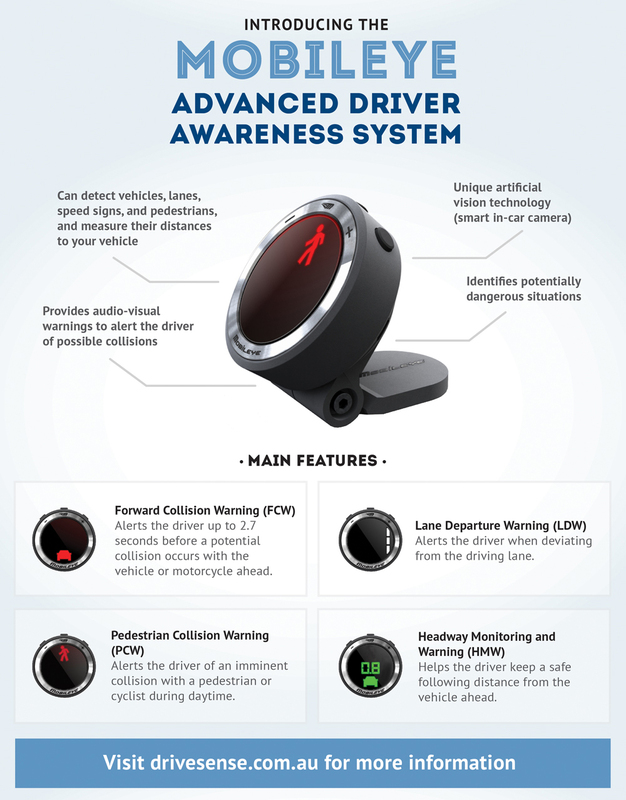 Mobileye is the only comprehensive Advanced Driver Awareness System available in Australia for aftermarket installation. It offers life-saving alerts to drivers and helps to improve driving habits and driver behaviour using visual and audio alerts without being a distraction in the car. The Mobileye is already gaining national recognition in road safety and driver safety, as it’s already being used by UNSW researchers in Australia’s largest road safety study on driver behaviour and has been adopted as a standard safety feature in the latest cars manufactured by Volvo, BMW and General Motors. Coca Cola Hellenic, one of the world’s largest bottlers of products for Coca-Cola, has been using Mobileye in its fleet for years. After using the Mobileye for a 19-week pilot program in their fleet, Mr. Kis, the Fleet Support Manager at Coca Cola Hellenic, reported outstanding outcomes: zero crashes, improved driver behaviour and substantial savings in gasoline. With driver distraction killing more and more people on Australian roads each year, there’s an even greater need to introduce driver awareness systems like the Mobileye.